I finally reached the breaking point about a month ago, but I thought taking a week off would help refresh me. So I took my first vacation in 9 months; however, in the 5 days I had off, I had to take work calls on 4 of the days. It didn’t end up feeling like much of a vacation at all. Even thought the conversations weren’t long each day, it was ridiculously hard to shut down my brain when each day I had to talk about work. In most cases I had to start up my computer and look up data in order to answer their questions, so shutting down mentally was nearly impossible. I’ve finally reached that point where the current state of life is more painful that the fear of taking a huge leap into the unknown. I strongly believe that I’m meant to be doing something else; something creative surrounding art, writing, and design. I feel like I’m wasting what could be an amazing life sitting at my desk processing paperwork day in and out, just so I can build up a retirement fund, and someday *hopefully* be happy. So lately I’ve been working long nights doing things I actually love, like creating new string art pieces. I’ve also been writing again and am currently writing a recipe eBook which we be ready in early October. 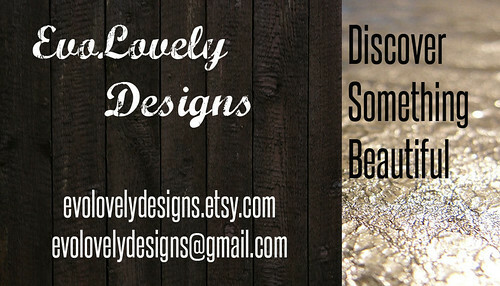 I’m starting my own business, EvoLovely Designs, and opening an Etsy store within the next month which will contain some of the string art pieces, jewelry, and other fun handmade items. The blog is going to undergo a design change, probably around the start of the year, as I need to officially swap the WordPress hosted blog over to self hosted so I’ve been teaching myself a bit of web design. Even though all these new ventures have been challenging, especially since I can only work on them at night, I have loved it so far. During the tough times when I can’t for the life of me figure something out, I’m still enjoying the process of building something for me. Whether it helps me escape the ‘cubicle life’, I don’t know yet, but at least I’m starting to find more joy in the journey. I also want to say THANK YOU to all the readers that stop by this little blog as I continue to figure out my own life and decorate my first home. You have been a great source of community and inspiration to me over the past year and I can’t wait to see what we all have in store for the future. 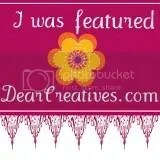 *some links contained with my posts are affiliate. My opinions of products cannot be bought, I will only recommend products that I strongly believe in or have used myself. Technically I haven’t job hunted since 2005, but I’ve still gone through several ‘interviews’ in that time. That includes the time my Director set up a call to introduce himself (since he was new to the team) and ended up putting me through an ‘informal’ interview, which felt very much like a ridiculously formal interview on the fly. Not a fun moment. Since graduating college, I would say I’ve probably been on dozens of interviews. It took me a year to snag the job I have at my current company, and that year was rough. I freaked out before every single interview, and let the nerves eat away at me. Before one particular grueling interview (panel style with several people from their company asking me questions), I couldn’t eat and was pacing in my room. There’s a good chance I was talking to myself and looking generally off my rocker when someone stopped by and offered me with the best job interview advice I’ve ever heard. I told them how nervous I was even though I was prepared. I just wanted the company to like me and didn’t want to screw it up. That advice changed my life for so many reasons and I went into that interview calm and relaxed. I honestly can’t recall what job it was for, but it didn’t matter. 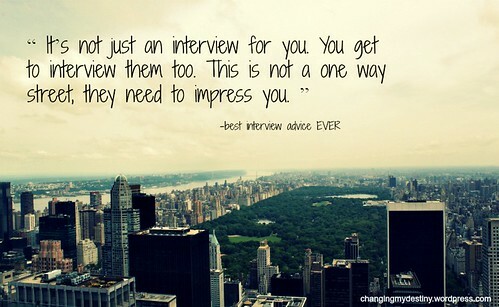 Every time I have an interview, I go into the conversation looking for them to impress me. It isn’t just about them hiring an employee. I’m a good catch for an employer, and while I might just be another name on their list, I deserve to be impressed. Do your research before each interview, see if it’s the type of place where you want to spend your time and energy. By doing your research (which you are doing, right? ), you’ll end up feeling more confident and ready to ask intelligent questions that will help you identify if the company is a good fit for you. So next time you go into an interview, don’t waste your precious energy being nervous. It’s just a conversation about whether this company/job is a good fit for both of you. If they don’t impress you…you can just tell them ‘no’. That stroke of genius came from my brilliant mother. I am, without a doubt, a night owl. I don’t like getting up early and when I do, I often feel groggy. Sure, I get a lot done, but the entire time I’m being productive in the early hours, I’m dreaming about taking a nap or going back to bed. I’ve also learned that sleep is incredibly important to me, so I try very hard to get between 7 and 8 hours each night. However, when I recently took over new projects at work I quickly became overwhelmed. I’d get up at 7:30 and grab some food, take care of the pup and sit down to work. I’d find myself sitting in this same spot for the next 9+ hours, with a little break here and there for food. One downside of working from home is the vanishing line between work and life. It’s too easy to grab food from the kitchen and eat it back at my desk, and so on. After work, I’d feel rushed to get out the door to walk the dog, find sometime for myself to relax, eat dinner, and still get a workout in somewhere before going to bed. So a few weeks back I had a revelation that if I shifted my work day by just one hour, I could get more done in the morning and not feel sleep deprived. After a little time to transition into the new plan, I have started getting up at about 6:45 each morning (without an alarm! ), taking my dog for a long walk, finishing my workout, eating breakfast and grabbing a quick shower. All before I sit down to start work at 9am. My usual schedule was to work from 8-5pm. However, starting work at 9am works so much better for me since my boss works late hours and is more likely to call me at 5pm rather than 8am. I also end the work day much less stressed (about life at least) than before. Now at about 6pm I try to shut down my computer for the night and I won’t have to run out the door with the dog since had his long walk in the morning. I can actually take more time to cook a healthy dinner, read a book, work on house projects, or run errands. How I transitioned to getting up earlier. Change slowly – For the course of a few weeks, I started going to bed earlier. Sometimes I would read if I wasn’t quite tired enough, but most of the time I was out like a light shortly after my head hit the pillow. I think we’re all so trained to do more all the time, that we don’t really realize how tired we are. My alarm is now set at 7am everyday, but I often wake up before it goes off which is a nice way to start the day. Don’t try to change your sleep pattern in one night or you’ll crash at some point, hard. Take a week or two to make the change and it will seem much easier to stick with long term. Workout in the morning – Even if it’s only 30 minutes, it’s amazing how much of a boost it gives you throughout the day. Not to mention the fact that there’s no stress about fitting in your workout when life gets busier as the day goes on. Relax a little – One thing I miss when I’m stressed is a relaxing morning routine. Find a favorite routine and really enjoy it each morning. Maybe it’s sitting in the backyard with a cup of coffee and the newspaper, or perhaps you prefer to stay cuddled up in bed with a cup of hot chocolate and a full blog reader. Whatever the case may be, find something you love and learn to enjoy the quite moments in the morning. Get Ready – This step is really more targeted to those that work from home. My office is right down the hall from my bedroom which is both convenient and annoying. On the bad days, I find that I often get up and go straight to work, yes, in my PJs sometimes. The simple act of getting dressed, showered, and putting some makeup on, makes a huge difference to how I feel going into my work day. Being more presentable makes me feel more in control and I find I’ve had a better day when I put in the effort. 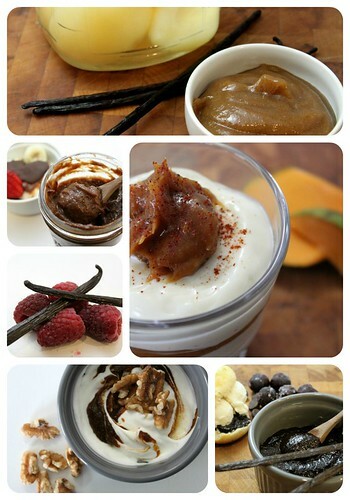 Eat Breakfast – Start your day off right, enough said. Does it always work? As with all things in life, everything has it’s ups and downs. Case in point, I started the above portion of the post a few weeks ago and I’ve slipped lately. Work has eaten more and more time from my life so it’s been harder to get up in the morning. Especially when coworkers think that 7am is an appropriate time for conference call (once in a while is fine, but please not everyday). However, when I stick to the plan, it does work amazingly well. So a goal over my upcoming vacation is to get back into a healthier schedule that isn’t so dependent on work hours. A few people have asked where I’m going on vacation. Truth is, I’m not going anywhere. It’s more of a stay-cation of sorts. I just need to mentally unwind and decompress, so aside from a few visits to family or friends, I’ll be home. 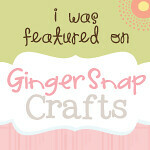 I have a few projects lined up and I hope to be posting throughout the week. I decided against spending the money to go somewhere, when I know that I really just need to shut down the work computer for a while and get my sanity back. Any early birds out there? What are your tips to start the day off right? A few years back, before I had a dog or a mortgage, I took a meditation class. It was a 4 week class offered every Friday at 4pm at a yoga studio across the street from the beach. Before that first class, I had never succeeded at meditating. I would often try, sitting on a cushion in my dark living room with my eyes closed. I’d sit and wait for enlightenment, disappointed. More often than not, I would just keep saying to myself, ‘ok, start meditating now’…’ok, NOW!’. And I was surprised when nothing happened. Wasn’t there some kind of switch that would flip, and peace would just surround you. My instructor would tell us stories of how, after years of practice, she now finds herself able to meditate for hours surrounded by a world full of chatter. I tried…and would often just fall asleep. Turns out, falling asleep and immediate enlightenment are not anchors of successful meditation. Color me surprised. So I shelled out some cash, snuck out of work early and sat in a room with only 3 other people for the weekly meditation workshop. The class would often start with a few gentle yoga moves, then we’d find a comfortable spot and meditate. About 20 minutes later, a gong would sound, we’d do a few more stretches and part ways. Looking back, those Friday afternoons were bliss. I would leave class completely relaxed and calm, my mind stopped racing and I would drive home purely happy. Now, I try to make it a part of daily life, for at least 10 minutes. Sometimes, when I’m feeling ambitious, I try for 30 minutes. However, I started out at just 5 minutes, which at the time was a serious challenge. I’ve never had a desire to fidget more than I did for those 5 long minutes. Now with practice, I have successfully sat for 45 minutes (though it’s rare I have time to do it for this long). Slows me down. In a world that is all about ‘go, go, go’ and multitasking, this allows my brain to stop spinning. You don’t really need anything special to meditate. To start it’s helpful to have a comfortable place to sit, and a space that can minimize light and sound. As you progress in practice, you will be able to manage meditation in light/louder environments. I use a Smartphone tool that makes all the difference. I currently have an android phone and downloaded the Insight Timer app. You can use it to set a timer and it will ring a very gentle sound when the time ends. It’s not jarring or loud which is nice as it doesn’t undo all the peace you found. I don’t recommend using an alarm clock as that sound can be incredibly stressful to end your meditation. Would you (or have you) ever tried meditation? I recently realized that I didn’t tell many people that I was turning 30 this month. As the day neared, I started telling a few people, but for some reason I kept it to myself most of the time. That struck me as odd since I wasn’t having a problem with turning 30 at all. In fact, I was looking forward to it. Growing up, I was (and still am) told that I’m an old soul. I matured far beyond on my years at an early age when I had to deal with some severe bullying in junior high. You learn very quickly who you can and can’t trust when everyone turns their back on you, including friends and teachers you’ve known nearly all your life. You also get a very real lesson in what trust means to you. It made me realize that I had to rely on myself going forward so I became much more responsible and logical than I ever wanted to be at 13. It’s no coincidence that several of my friends over the years have referred to me as the ‘voice of reason’. · Started taking vacations solo (meaning without the parentals, although I do still occasionally vacation with them as well). This felt like such an adult thing to do at the time. At some point I realized that I have been making all my life decisions based on what I am supposed to do, not what I want to do. This was an incredibly disappointing realization since I thought I was doing everything right, and here I find myself having accomplished ‘classic’ life goals (i.e. college, job, house) but instead of being proud, I found myself incredibly unhappy. So here we are…starting over…at 30 and I couldn’t be happier to be doing so. Granted I feel a little behind in some ways since I have a need to go back and do some things over (i.e. school, job), but I plan on enjoying this journey so much more this time around. Plus I can’t deny the fact that I’m in a much more secure place in my life now to support my hobbies and dreams. I just finished the list this evening so I’ll write it up as a separate post in the next few days. Have you done a 30 before 30 or other life list? I’ve been keeping a ‘Life List’ since I was little, but the 30 before 30 was a new concept to me. Please feel free to link up in the comments section if you’d like to share your lists! When I was growing up, my mom taught me all about the joys of the local library. I LOVED reading and trips to the library were a little like being let loose in the kids version of ‘Supermarket Sweep’. In fact, I still wish I could just run through with a cart, sweeping things off the shelf. I could (and often would) spend hours sitting on the floor, among the stacks of books, barely able to make it out of the building before finishing the first one. Through High School and College, I burned out. Reading turned into a chore. I never found time to read the things I really wanted, when stacks of Psychology and Statistic books loomed nearby. After college, work took over and life just got busier. I have stacks of books all over my house and filling up my Kindle, but it’s a struggle to make the time. However, since this journey is all about starting over, living a life you love…I decided to go back to my roots. I LOVE you Public Library! The other evening I tracked down a library nearby and got my new library card. Since it was a brand new card, I was limited to just a few items this trip, but next time I can check out up to 30 books! The greatest thing about the library is that it’s FREE. If my closest branch doesn’t have what I want then I can order it from another branch for as little as 25 cents. No more expensive book purchases for me this year, and I can browse almost any book or magazine I want. This also got me thinking about how much I would like a library in my own home someday; although that contradicts the concept of simplifying a bit. Warning: This involves no crafts, DIY tutorial, or pictures. It is a wordy reflection on my recent back injury and a resulting epiphany. I hesitated even posting something so personal and somewhat ‘TMI’, but it’s a part of my life that I wanted to share because it affected me so deeply. However, I am in no way offended if you skip reading this post and wait for something lighter (I have a New Years inspired post that will be up shortly). I’ve been through a huge range of emotions this week, beginning with when I hurt my back on Christmas Eve. 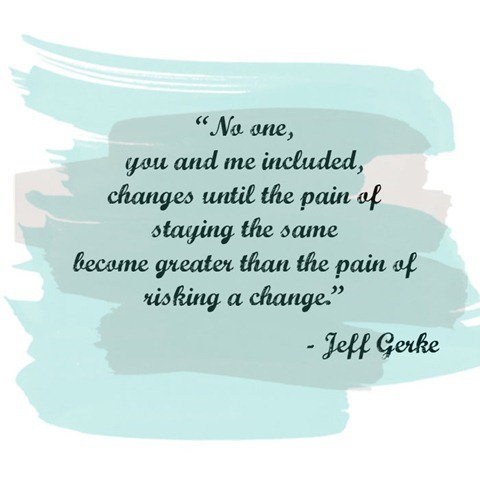 I can’t fully explain how hurting my back has given me such perspective, but I’d like to try since it has such a bearing on where I’m emotionally headed with this whole ‘Changing My Destiny’ journey (in between my crafty/DIY moments). At 9am on 12/24, I turned wrong while making toffee, and pain shot through my back and leg. It’s nothing too serious and has been getting better day by day, but at that moment everything stopped. Since Saturday morning, I haven’t been able to walk, sit or sleep comfortably. The simplest things are difficult. You would think that I would be angry/frustrated, and there are moments for that, but for the most part I’ve actually been grateful (I’ll explain more in a bit). I’ve had injuries in the past; I had my gallbladder removed at 14, was hit by a car at 15, and struggled through 2nd degree burns on my shoulders from a severe sunburn in my early 20s. However, I’ve never had my mobility really taken from me like it was this past week. For the most part I’ve dealt with it, icing and resting as much as possible…but there were two distinct times where I grabbed the phone to dial 911. Actually, I would have probably dialed my Mom first, who would have told me to dial 911 after hearing me cry in pain. The first time was the day it happened. After about an hour of trying to figure out what I did, I laid on the floor since standing was getting uncomfortable. 15 minutes later I was feeling pretty good and decided to get back up and get some ice for my back. I haven’t felt pain that bad since I had my first gallbladder attack. (Gallbladder attack pain, I’m told, can rival natural childbirth. I don’t have kids, but to be honest, I’m not worried about the pain after having multiple gallbladder attacks…those things are awful) From the laying position, It took me nearly 30 minutes to get myself to my hands and knees. At which point I realized I couldn’t stand up on my own, so it took me another 10 to crawl over to the couch which I used to help me get up. I had my phone with me the whole time and nearly called for help several times. (I’ve also assured my Mom that my cell phone is to be glued to my hand until I’m completely healed, just in case). The second time was after I went to bed on Christmas night at about 1:30am. I had been doing pretty well all day and thought I might be on the mend, I was so wrong. I normally sleep on my side and so I went to bed in my normal position, on my right side facing the center of the bed. I fell asleep for about 3 hours, when I woke up and had to get out of bed to go to the bathroom. Since I was lying on my right, that meant I had to roll over to my left and then sit up to get out of bed. Sounds easy, right? Looking back I had probably aggravated the injury by all the walking, standing and cooking I did on Christmas day, because I could not move to get out of bed. I wish I could have taken my time, but let’s just say I REALLY HAD to get up. (I’m trying not to get too ‘TMI’ here) So I tried to sit up and a stab of searing pain shot through me, bringing me to tears. This woke up my dog who comes to my rescue any time I cry. So he immediately walked over to me and curled up by my chest and started licking my hands and face. I tried moving my legs, just enough to see what I could do and every movement causes streaks of pain and I was all out crying now as I had realized that I could not move without the pain, but I had to get up. I felt helpless, a bit scared and embarrassed that I might have to call 911 to help me get out of bed (note to self: wear nicer PJs when in pain…actually wear nicer PJs always, just in case). I made it out of bed, using the wall and bed frame to balance me, along with willpower that I didn’t even know I had in me. It all sounds so dramatic when I think about the fact that it’s all about a tweaked back, but at that moment I was broken. I made it to the bathroom and sat down; still crying because sitting was incredibly painful at that point. It took me another 10 minutes to work up the courage to try standing again which was a little easier now. I made it back to my bed and sat on the edge, unsure of what to do. I was afraid to lie down, but I was so tired. It had taken so much energy out of me just to walk to the bathroom that my body was literally shaking and exhausted. For some perspective, my bathroom is not down a hall or on another floor…it’s less than 15 feet from my bed. I gently lay down on my left side this time and fell asleep. It’s been 4 days since that night and things have gotten so much better. I’m currently on day 6 of the injury and I can move around near normal. My back is tight and feels sore but I’m not getting the pain like earlier in the week. I was even able to take my dog out today for a short walk; although it physically wore me out and I had to rest both my back and my pride afterwards. Was it not only several weeks back where I finished a 10K, and now I’m completely exhausted from taking my dog out for a 20 minute walk? I know it’s the back, I know it will slowly get better over the next few days, but mentally, it’s draining. It’s frustrating when you can’t move and I had all these plans since I have days off of work for the holidays; however, instead of cleaning, organizing, cooking, crafting, working out, and playing with Bubba…I’ve been sitting, standing, or laying down for almost a week straight now. Knowing that I’m getting better just brings on the frustration because I want to move NOW, my body is itching to just move, but I can’t yet. Aside from the pain and moments of frustration, I’ve been feeling grateful. The fact that I’ve come to a grand epiphany right as we close out 2011 and enter a new year, isn’t lost on me. I’m sure that it has something to do with how I’m processing this event. But ever since the injury originally occurred, I’ve been trying to understand why I’m actually smiling about it…and have been since the beginning. It slowed me down. I’ve gotten very little done around the house. Dishes are piling up because leaning over the sink hurts, dog toys are scattered around the floor because I can’t bend over to pick them up, I’ve had to take a unexpected break from crafting, DIY and daily posting on the blog. It forced me to stop and reflect on what I was doing. I had to pick out the most important thing and focus on completing a single task, because I couldn’t physically do it all. I had Monday, the 26th, off from work for the holiday. It took me several hours to get ready to drive to Target because I had to buy dog food or else Bubba would have nothing to eat on Tuesday. I had originally planned several errands & projects for Monday, but really the only important thing was my pup, and making sure he had food. I made it to Target, got his food, came home, and took a nap. It gave me time to reflect. I’ve had lots of time to reflect on this past year and the goals that I want to accomplish in the upcoming year. Even though I haven’t gotten anything done this week, I’ve come up with a pretty amazing plan for the coming months. As soon as I can move again, I’m going to hit the ground running. This includes long term plans on where I want my life to go from here and ways in which I really can ‘change my destiny’. I’m humbled. When I stated above that I’m grateful, I meant it in every sense of the word. This pain is temporary for me, I know that in a few more days I’ll be able to go back to my life and dance again, walk again, run again, painlessly climb up and down the stairs, and take my dog for long walks again. The physical pain is temporary and for that I am so grateful. I’m humbled by thinking how lucky I am to being dealing with temporary pain and strong I am deep down. I don’t think I’ve given myself half a chance all these years, and I’m learning that I’m emotionally/mentally/physically stronger than even I know. In the scheme of life, this is a small bump in the road for me, but it’s really shifted my outlook to appreciate all I have and all I’m capable of. It reinforced the fact that everyone is fighting a harder battle and I’m grateful to be able to heal fully from this injury while I know others are dealing with so much more. My tweaked back was life changing or me because it put things into perspective. At any moment all the things you thought you knew can be taken away. At a single moment while making toffee on Christmas Eve, I temporarily lost my ability to walk and move in general. The time the injury gave me to reflect has changed a lot in my eyes. It makes me want to be a better, stronger, and more authentic person going forward. It was the epiphany that I’ve been looking for all these years and couldn’t find. Being forced to sit and taking the time to reflect led me to reading this article and watching the amazing videos made by Ben Breedlove, a name I will never forget. This young man, of only 18 years, changed my life tonight. He has left this world with such a gift. Beyond that, I’m unable to articulate, other than to whisper a heartfelt, tear filled…THANK YOU!